Double Issue is a new independent nonprofit print magazine based in San Francisco. Each issue of the 100-page magazine covers an important social issue – like equality, food, immigration, and conservation. Unlike articles you read in other news outlets, the stories in Double Issue pair a cause's past and present. That's because the way we fight for issues that matter is the same today as the way it was 100 years ago. We believe in the power of print. There's a proud tradition of printing presses, social zines, and hand-painted signs making a mark on society. We are mindful of our environment, so we printed the magazine on recycled paper that you'll want to keep on your bookshelf. We want to carry forward the legacy of print with a community of passionate writers, artists, and activists whose work has appeared in Lucky Peach, Refinery29, Afar, Saveur, San Francisco Chronicle, San Francisco Magazine, Bust, Out, and on the walls of SFMOMA. Carrie Taffel, Publishing Director: The former team lead on project management and production for SFMOMA’s Design Studio with a background in independent book publishing with Counterpoint Press and Soft Skull Press. 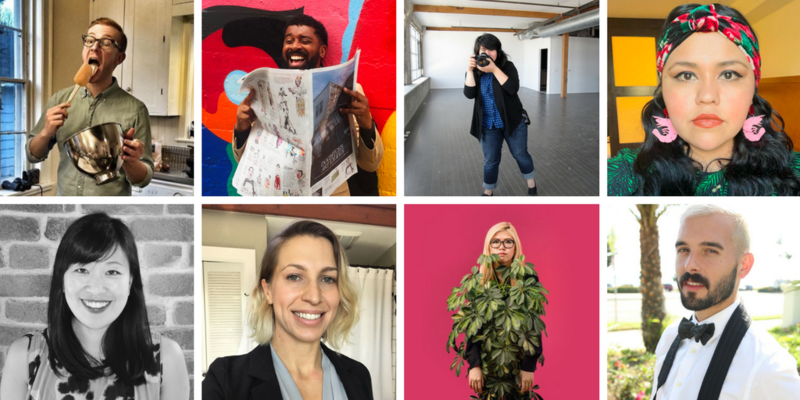 We are lucky to have a team of smart and caring advisors with backgrounds at Airbnb, Youth Radio, Mother Jones, BCG, Google, Facebook, and the Fine Arts Museums of San Francisco. We're also proud to be supported by the SOMArts Cultural Center Fiscal Sponsorship program. Double Issue is supported by the SOMArts Cultural Center Fiscal Sponsorship program. SOMArts leverages the power of art as a tool for social change through multi-disciplinary events and exhibitions. Equipping artists with the space, mentorship and support they need to shift perspectives and innovate solutions, SOMArts fosters access to arts and culture for collective liberation and self-determination. SOMArts is supported by the San Francisco Arts Commission. If you have an idea for a future issue or a question for the Double Issue directors, please contact us. We'd love to hear from you.